Complete Chinese WTC50M LX circulation pump with 1/3hp single speed motor designed specifically for use with Hot Tubs & Spas. There has only ever been one type of side discharge WTC50M pump manufactured so you can order with confidence if you need one of these pumps. Our stock of the WTC50M LX pump have the latest upgraded ceramic/Viton shaft seal kits within the wet end as previous models suffered from premature seal failure. SIDE Discharge - This means that the inlet and outlet plumbing union connections are offset from each other as opposed to the more common LX circulation pumps with centre discharge union connections which are in-line with each other. These circulation pumps can be found on countless hot tubs and spas from Chinese and American spa brands. Premier Hot Tubs and many more. A great reliable replacement for this WTC50M pump is the American Aqua-flo Circ-Master HP, it runs much quieter, only runs on 0.6 amps and delivers a similar amount of water flow. The motor foot plate is different so fitting to the spa is different but a worthwhile sacrifice that can easily be overcome. 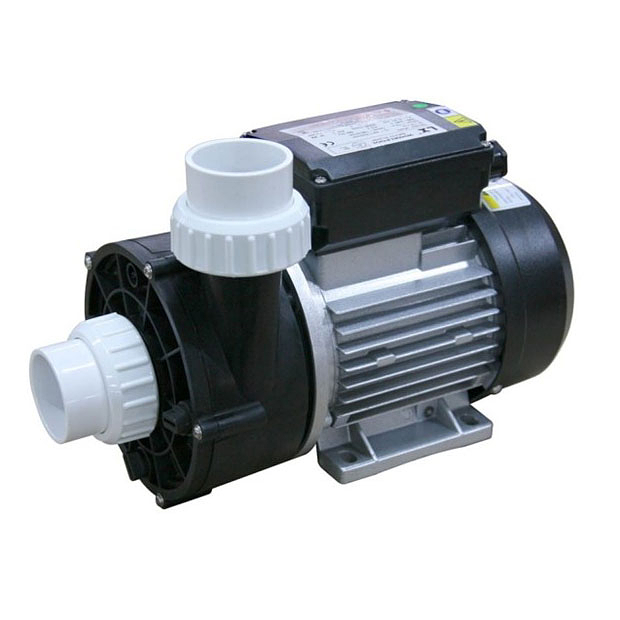 This is a 1-speed circulation pump so the single low speed is for the filtration and heating of your spa. Pump wet end connects to 1.5-inch plumbing unions on the inlet and outlet. Both connections have a 63mm outside thread diameter and you can use 1.5-inch union O'rings to seal the plumbing union connections. Pump wet end can be rotated from the standard 12 O'clock position to 3 O'clock or 9 O'clock position easily by removing the four bolts that attach the wet end to the motor. Wiring - This replacement WTC50M LX Spa pump is supplied with a new cable but you may need to swap the cable over from your old existing LX pump as control box connection type does vary between spa brands. You will have three wires, live for the single high speed (Brown or Black). Neutral (Blue or White) and Earth (Green). If you need a new cable for your new spa pump then see related products. Supplied with an air switch on the electrical box but can disregard if unneeded. It can be a bit confusing choosing your new replacement pump as models are not always written on them. The quickest way is to simply send us some images of the LX circulation pump you are replacing though our Contact us page and let us do the work for you.